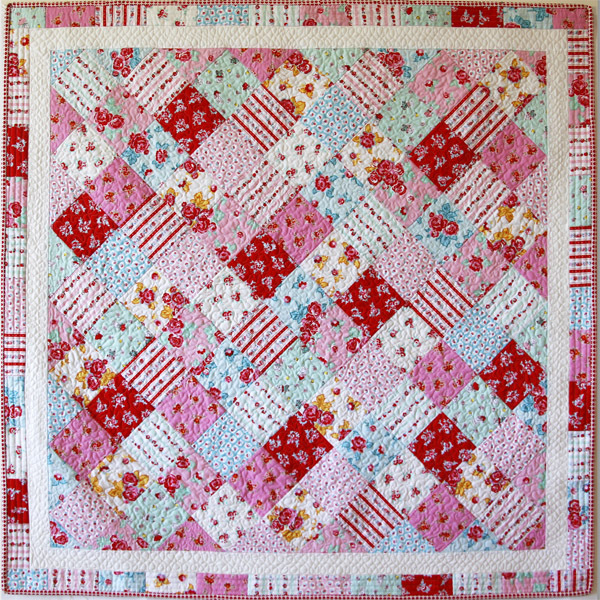 Fall in love with the charming Be Mine Free Quilt Pattern. This timeless pattern of simple five-inch squares set on-point, is fat-quarter friendly and a great stash buster. Your favourite bundle of fat quarters is perfect for this quilt, and you will need ten of them to make the quilt top. Of course, you can replace the fat quarters with 25 cm (1/4 yd) strips if you prefer. 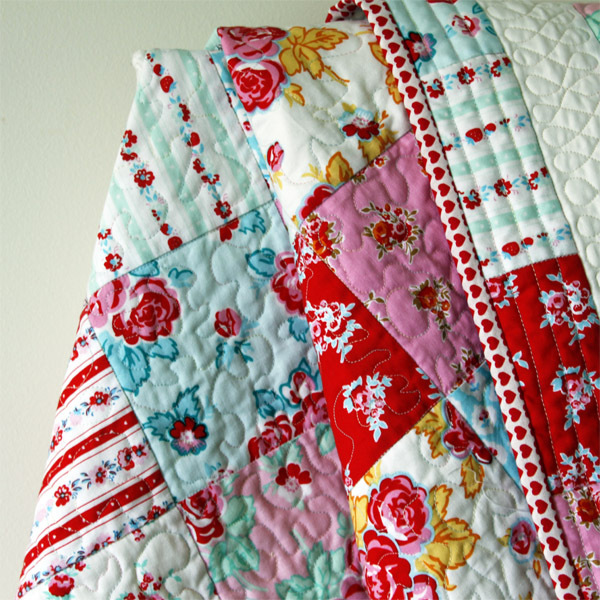 The sweet fabrics used in this quilt are Sugar, Milk & Flowers, designed by Elea Lutz for Penny Rose Fabrics. 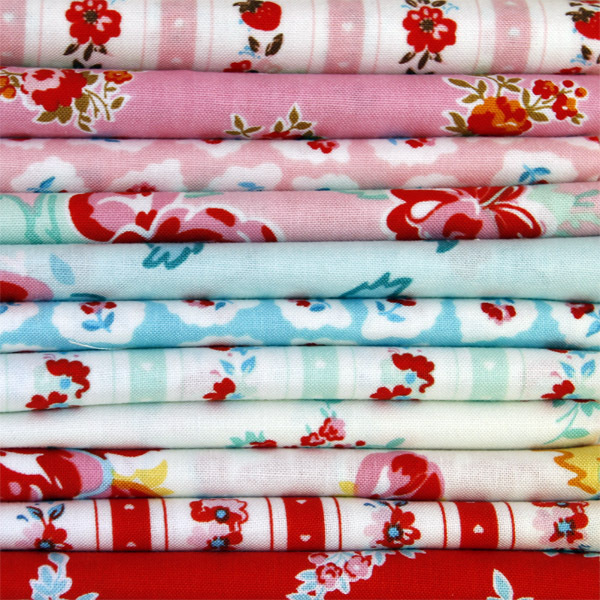 Sugar, Milk & Flowers designed by Elea Lutz for Penny Rose Fabrics. 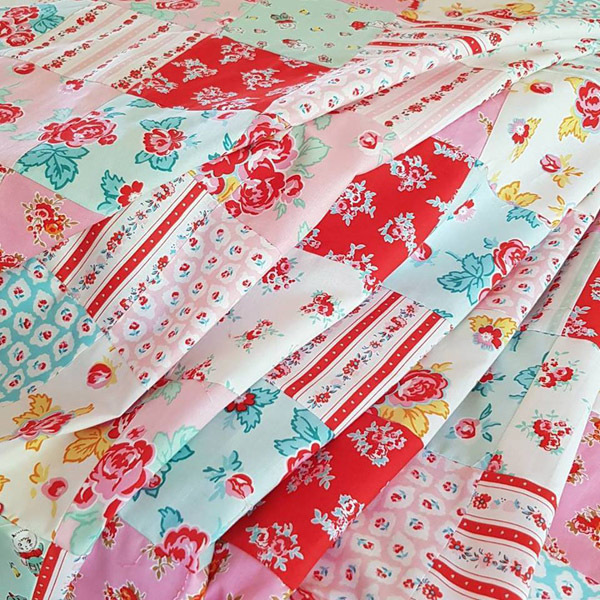 Even though Be Mine uses romantic fabrics and celebrates Valentine’s Day, this design is versatile, and as one of our Basic Quilt Patterns, you can make it again and again. Simply change the fabrics to suit the occasion. As with all our patterns, the Be Mine Pattern has detailed step-by-step instructions. All of our patterns are in inches and use a 1/4 inch seam allowance. Fabric quantities are in both metres and yards. Even if you’re not quite ready to make a quilt, you can download any of our patterns so you have them on standby for when inspiration strikes. Until next time, Happy Valentine’s Day.